Excellent story to help kids with excessive shyness. A beautifully illustrated story of a shy, little plush girl who gardens string and prefers to keep to herself. Her kind neighbors need her help, but the little plush girl is not so sure she wants to get involved. She is fearful to come out of her house but realizes if she needed help, her neighbors would be there for her. This excellent lesson on helping others in need and developing compassion will be a gateway to opening many conversations with children. Easy activities for the classroom, homeschool, or library can be readily pulled from this creative book that will spark imagination and enhance reading skills. 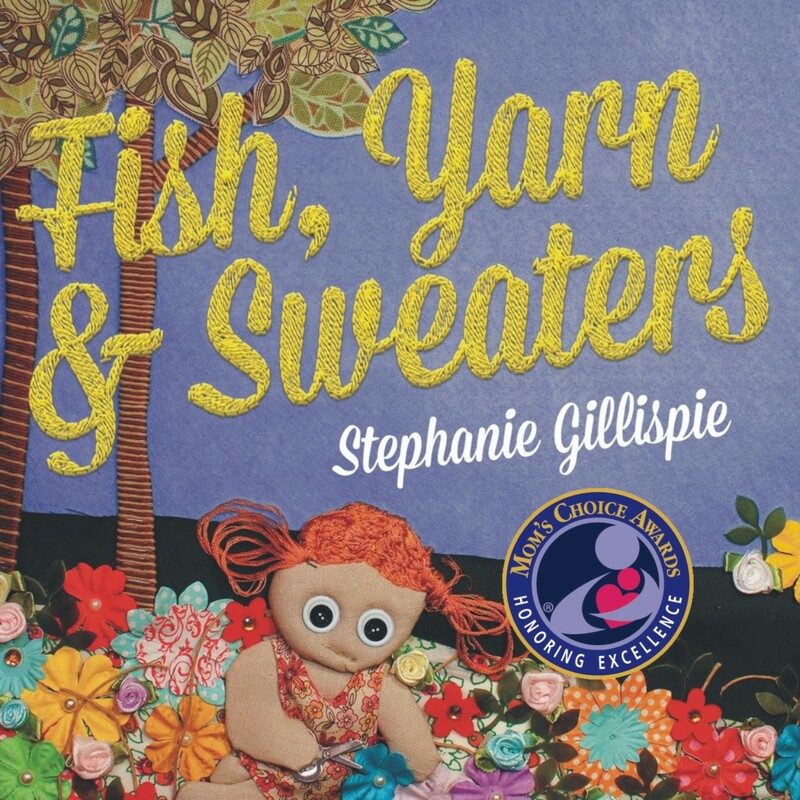 A lovely story about a young woman who must get over her shyness in order to help her friends, Fish, Yarn and Sweaters will appeal to all sorts of kids, since even the most gregarious child harbors secret anxieties. But the star of this book is the illustration. The book’s world is a cloth world, and the illustrations are all yarn, cloth, lace, buttons and coffee beans. An amazing world because Gillispie is a master illustrator. Her composition, her illustration and her lovely plush doll human figures draw you into the world she creates, give it life and joy. Cloth gives this world a naiveté and childlike imagination that goes well with the gentleness of its central character. This is an original book, a book to be treasured, and I hope she does many more.